You know, that’s rank amateur stuff. They think it’s a big deal to see themselves on TV. I mean, I’m right in the middle here making a brilliant point about Trump and his voters and Pew and you shout, “CNN!” I look up and it’s me on TV. That happens every day. What the hell is newsworthy about me being on TV? Why should I have to stop everything…? 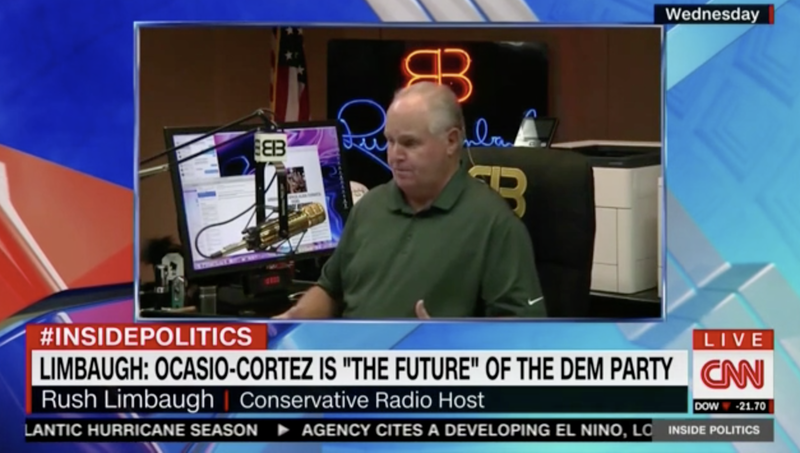 RUSH: What CNN was doing, is they were playing a video of me highlighting the genuine vapidness and stupidity of Alexandria Ocasio-Cortez yesterday while proclaiming that she is the face, the new face, of the Democrat Party. CNN is very alarmed at that. They didn’t want that to take hold anywhere; so they assembled a panel discussion to discuss that sound bite of me from the Dittocam yesterday. The general consensus was, “Well, I don’t think they need a new face. “They’ve been saying that Nancy Pelosi is the face of the party,” trying to dissuade it. This woman, Ocasio-Cortez? Folks, it gets worse. I have a couple more sound bites from her in the roster. Listening to her talk about Pelosi is just a laugh riot. It is abundantly clear this woman doesn’t know anything. You know, she’s a bartender — and I’m even hesitant to say that ’cause I like bartenders. I do not intend to insult them. But this is one of the greatest accidents of politics that’s ever happened. This is worse… Remember that movie Peter Sellers was in called Being There? He was an absolute idiot gardener but he had this way of saying things and the world thought he had become the biggest political genius on earth. He had no idea what he was talking about. This is even worse than that. That was a movie. This is real. RUSH: Grab sound bite No. 16. This is Alexandria Ocasio-Cortez, and I’m looking for one… I thought we had the audio of this. We don’t. It’s Pelosi. I’m looking for what she said about Pelosi, and I’m gonna find it in here. But while we… You gotta listen to this. Oh! “San Francisco Getting 78 Calls a Day About Human Feces in the Street.” It’s getting worse. “The San Francisco Chronicle published a snapshot of how the city is dealing with thousands of homeless people living on the streets and the waste, including drug needles and feces…” Now, here’s the thing: In San Francisco, they’re banning plastic straws while they are dispensing needles and syringes! Now 78 phone calls a day to come clean up human feces in the streets. RUSH: Oh, come on! They do all of the time all the time. They do all the time! And the answer is economic growth! 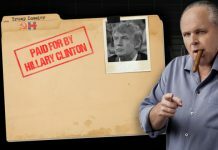 It is paying for it! Federal revenues are at an all-time record, Alexandria Ocasio-Cortez. Wait just second, though. 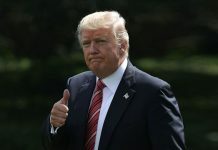 Did you catch the government should pay for funeral expenses of all the people who because they don’t have health care, and if we did this we could save a lot of money? We’re also not talking about why we aren’t incorporating the cost of all funeral expenses of those who die — of those who die? Who isn’t, Alexandria Ocasio-Cortez? Do you know somebody that isn’t going to or hasn’t? We’re not talking about why we aren’t incorporating the cost of all the funeral expenses of those who die because they can’t afford access to health care. “Americans are dying!” This is an argument that was made by literal idiots during the Obamacare days. “People are dying because they can’t afford health care.” People are dying because Reagan was in office. People are dying because Trump’s in office. People are… It’s a common shibboleth the left uses and this babe buys it! All the funeral expenses of those who die because they can’t…? So the point is if we provided them health care, we wouldn’t have to pay for their funerals! Because they wouldn’t die! Think of the money we could save! This is the face of the new Democrat Party. I can’t find it, but what she said about Pelosi… She just asked about Pelosi being the leader of the House, and she didn’t know whether she was speaker, she didn’t know whether she was the leader, she… It was classic. I know I’ve got it here somewhere. But as I say I’m scattered all over the place. I’m gonna have to go back and find the original. RUSH: Here is what Alexandria Ocasio-Cortez said about Pelosi. “I think absolutely right now she is the leader of — no, no, um, she’s speaker. Uh, she’s leader, Pelosi hopefully will see she’s, uh, she’s the current leader of the party, and the party absolutely does have its leadership in the House and Senate.” That is a verbatim quote. 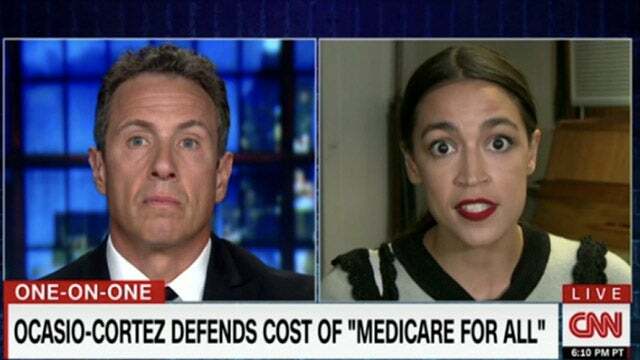 Alexandria Ocasio-Cortez on Fredo Live on CNN last night. One more time. “I think absolutely right now she is the leader of — no. No. Um. She’s speaker. 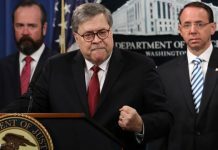 Or, rather, leader, Pelosi hopefully will see — she’s a, uh, she’s a current leader of the party and the party absolutely does have its leadership in the House and Senate.” This babe is giving bartenders a bad name. OCASIO-CORTEZ: Of course. I think absolutely right now, you know, she is the leader of, of — no, no, I mean, um, speaker, rather, leader Pelosi, hopefully, um, you know, we’ll see. She’s, uh, she’s the current leader of the party and I think that the party absolutely does have its leadership in the House. We have our leadership in the Senate as well. CUOMO: Would you back Pelosi for speaker if you win and are in the House? OCASIO-CORTEZ: Well, I think, again, we don’t want to get ahead of ourselves as you mentioned. I got to win my race first. But we’ve got to take a look at what’s going on. We’ve got to take a look at winning the House back in November and then once the House is won, we have to make that decision from there. You know, I think it’s not about a referendum on any one person, but it needs to be a referendum on where we are at as a team, as a collective, as people who are interested in advancing the economic and social issues in America. 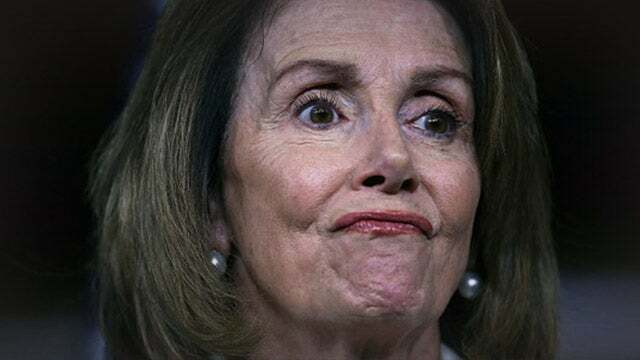 RUSH: Pelosi, you are — (laughing) — rag doll dead meat if this babe finds her way near your office. If she can. (laughing) By the way, she thinks that what she’s doing is advancing the economic, social issues in America. We’re not in an argument with them about that anymore. That’s not at all what’s going on. This woman represents a bunch of people who do not like America the way it is and they want to transform it into something it was never founded to be. That’s why we can’t debate them. We’re not even on the same field, folks. Fredo didn’t react. I mean, don’t forget, Fredo (laughing) you made me remember this. Fredo is the guy who said (imitating Fredo), “Don’t these communities in Cuba realize they’re gonna have to do something about unemployment? Don’t they realize they’re gonna have to do something for the people?” Remember that? Fredo was all upset over what he saw of living conditions in Havana, you know, when Obama opened things up and people went down there, Fredo thought the communists were blowing it.